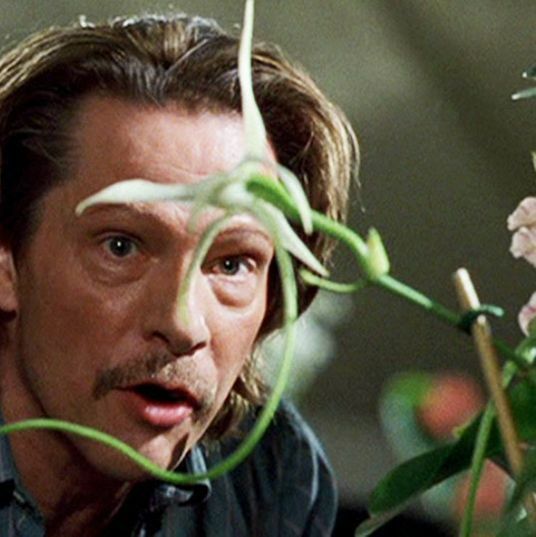 As you may have heard, Amazon sells plants now. 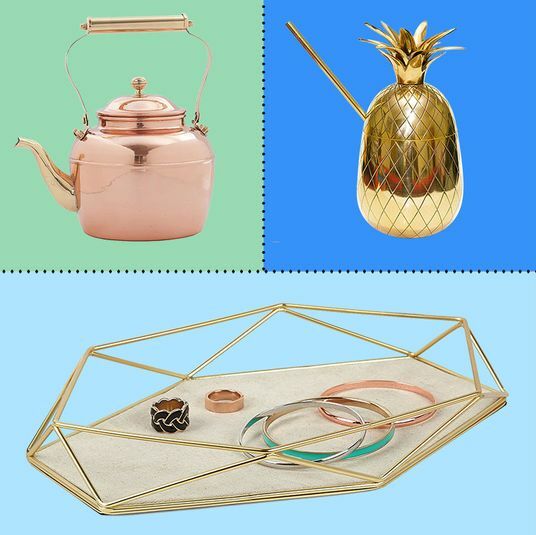 Actually, it’s sold plants for a while, but the retailer’s recently centralized its offerings to form the Amazon Plants Store. 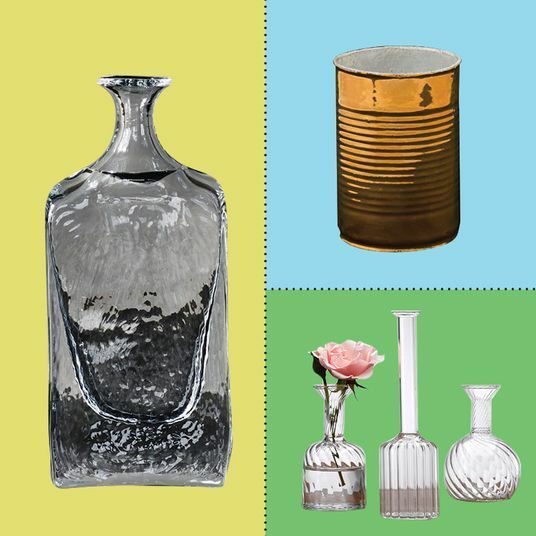 The eight featured brands you’ll find on that page aren’t the only plant sellers on Amazon, but you can think of them as the most vetted options, the quality and prices comparable to what you’d find at the Home Depot (which makes sense because at least two of the featured brands list both Amazon and the Home Depot as retail partners). 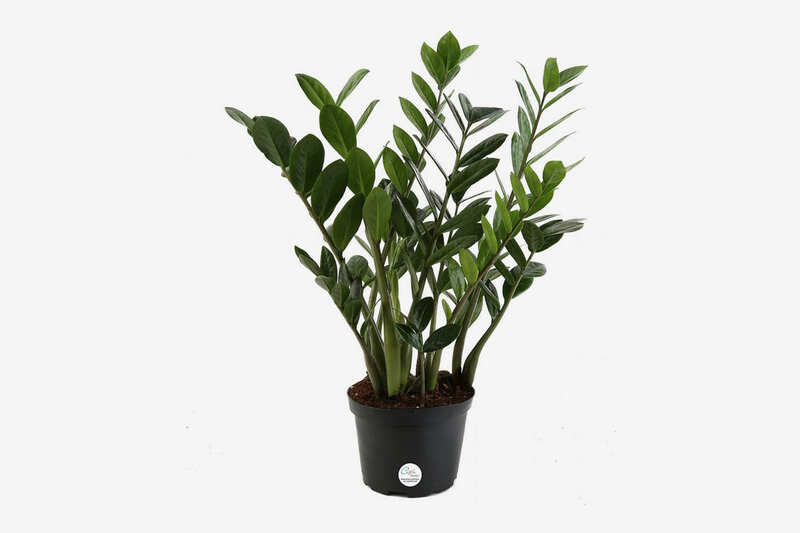 I buy a lot of things through Amazon, and like a true apartment-dwelling millennial, I appreciate a good houseplant. 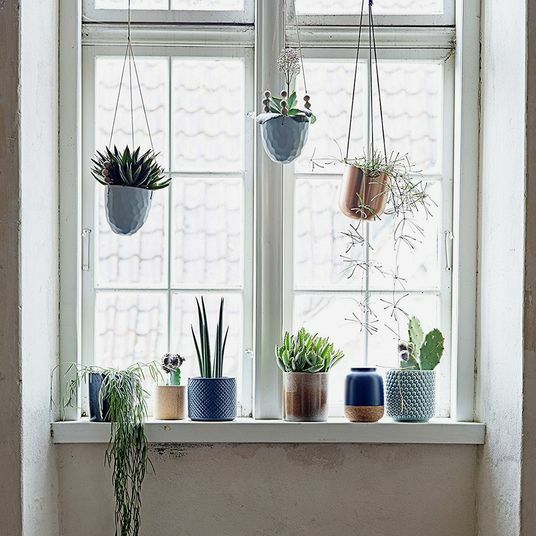 It’s well-known by now that houseplants lift your mood and purify your air. But the idea of something as complex (in the multicellular sense) and delicate as a plant being processed through Amazon’s vast shipping network in a cardboard box makes me a little uncomfortable. 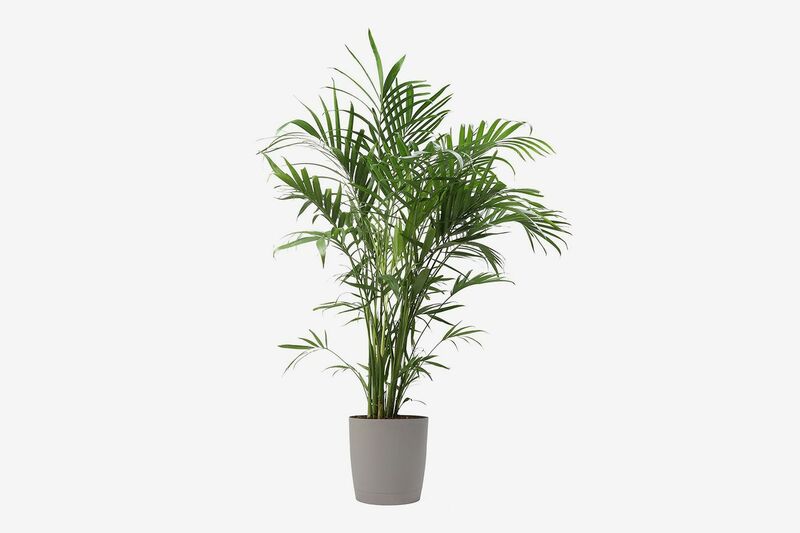 Then again, like anyone who has ever spent 20 minutes in an Ikea parking lot wresting a four-foot-tall yucca cane into a car trunk, I can appreciate the convenience of having plants delivered to my door with free two-day shipping. 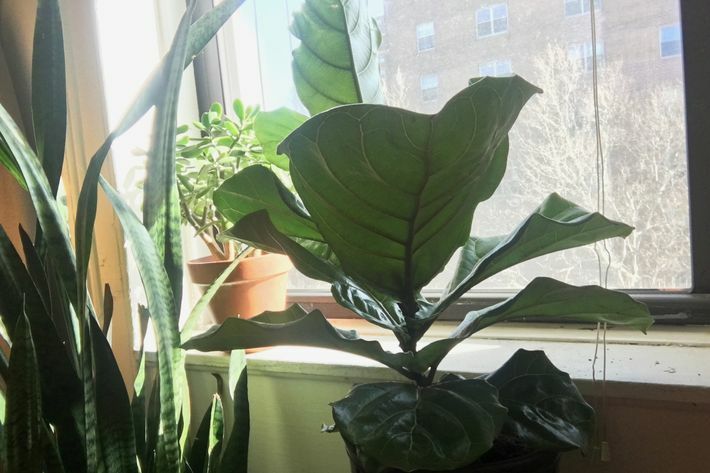 This is an actual photo of my fiddle-leaf fig, chilling next to a jade plant and snake plant. 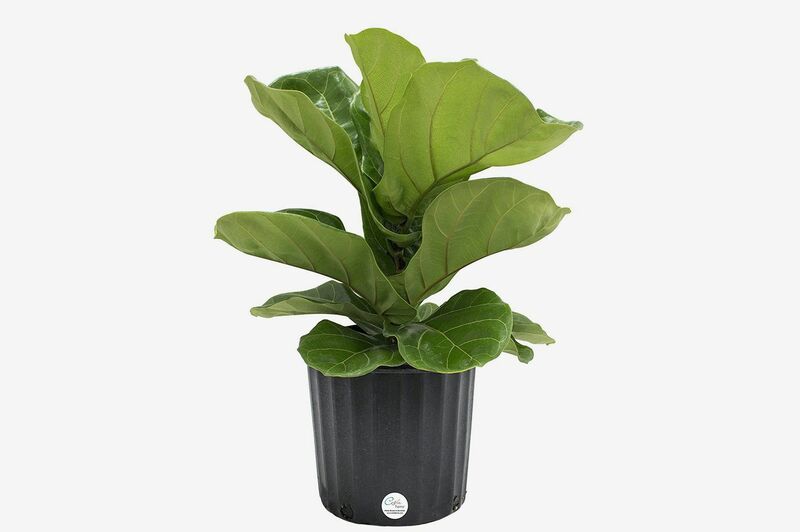 I gave it a try and ordered the Amazon Plant Store’s top-rated houseplant — a plant so trendy that even The Wall Street Journal just declared it “over” — the fiddle-leaf fig. The product page says, “Usually ships in 5-7 days,” but mine shipped the day after I placed the order and arrived two days later. It all went smoothly, just like any Amazon Prime order, nothing to see here. 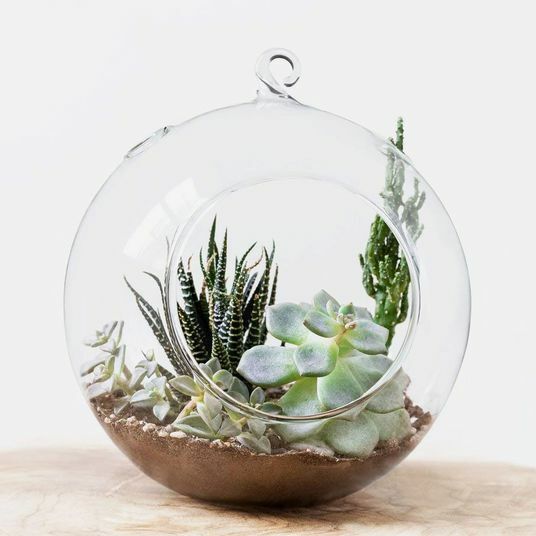 It came in a large cardboard box, clearly marked “This End Up,” and indicated that a live plant was inside. 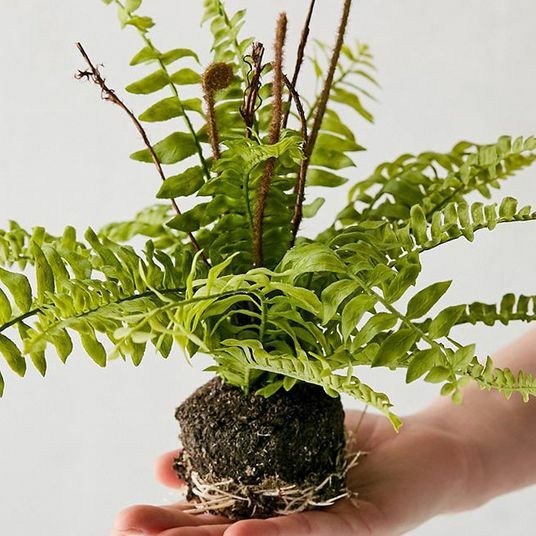 It was well-packaged, wrapped securely in paper, and held in place by indentations in the box, set in a plastic grower’s pot filled with soil. 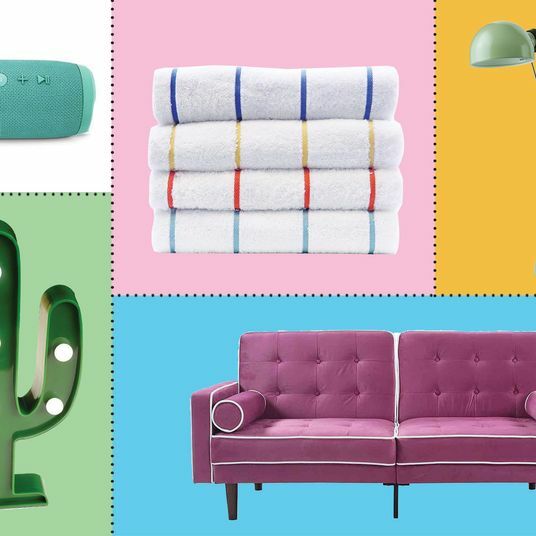 In short, it was just about as seamless a transaction as I could’ve hoped for — as easy and hassle-free as buying a toothbrush. I was pleasantly surprised, even if it’s easy to imagine how it could go wrong: an extreme shift in weather or a missed delivery window might be all that separated me from the guy who left a one-star review with a grainy cell-phone picture of a dead plant (growers warn you not to try to buy these if your area is experiencing extreme temperatures). 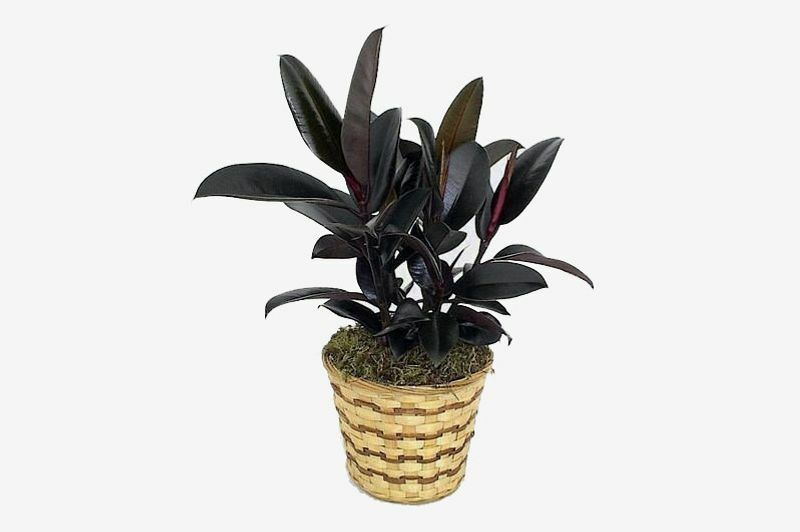 This rubber tree will probably be my next purchase. 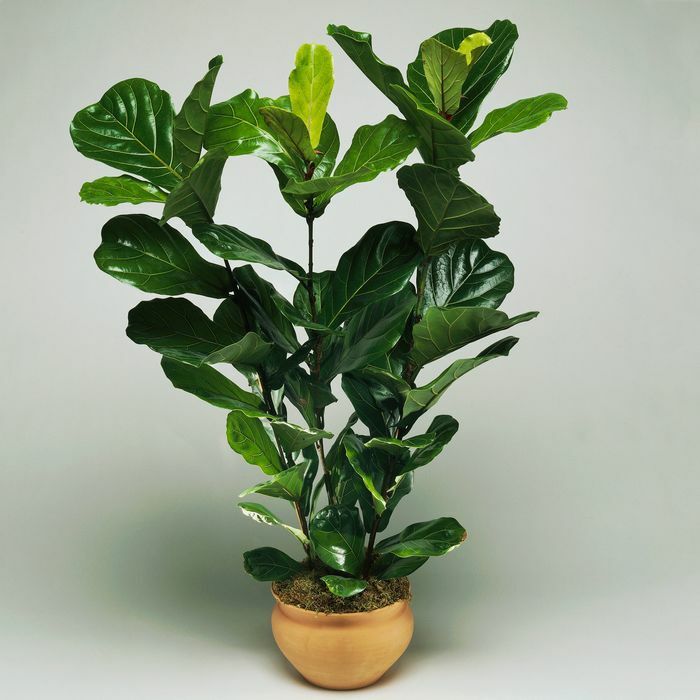 One of my new favorite things to Google is, “What is the next fiddle-leaf fig?” — and not to blow up anyone’s spot, but I’m seeing the rubber tree pop up a lot. 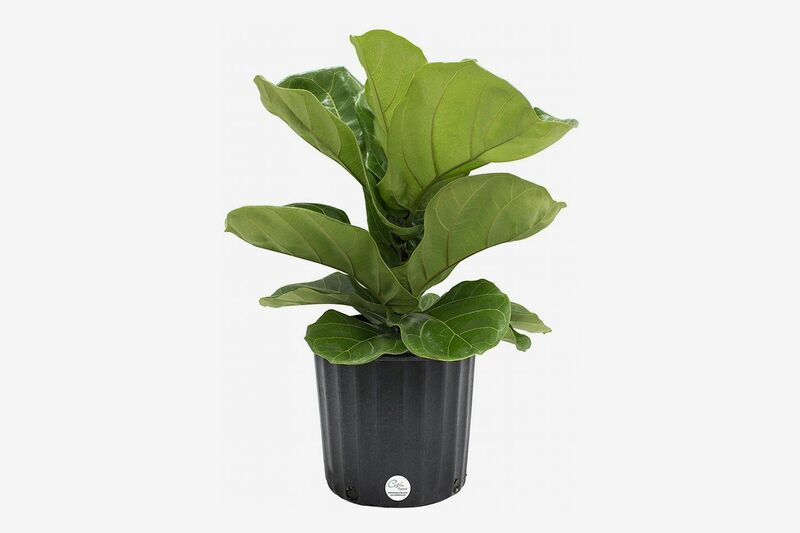 Don’t make the same mistake I did with the fiddle-leaf. 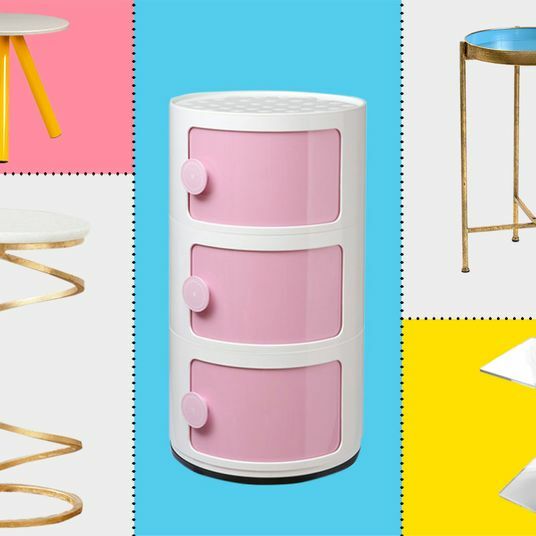 Get in now before it’s too late. 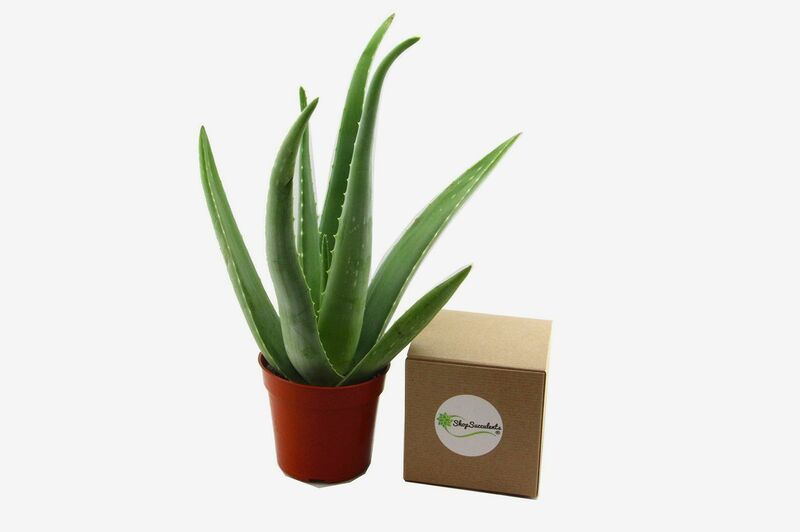 If you’re scared of killing your very first plant purchase, aloes are great, hardy plants for beginners. 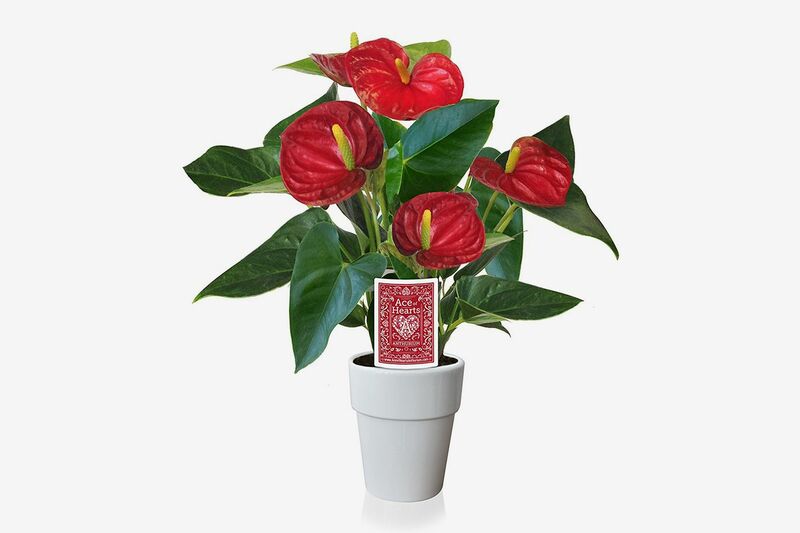 Bright-red anthurium comes in a nice white pot; it’s relatively low maintenance, blooms indoors, and is an easy gift. 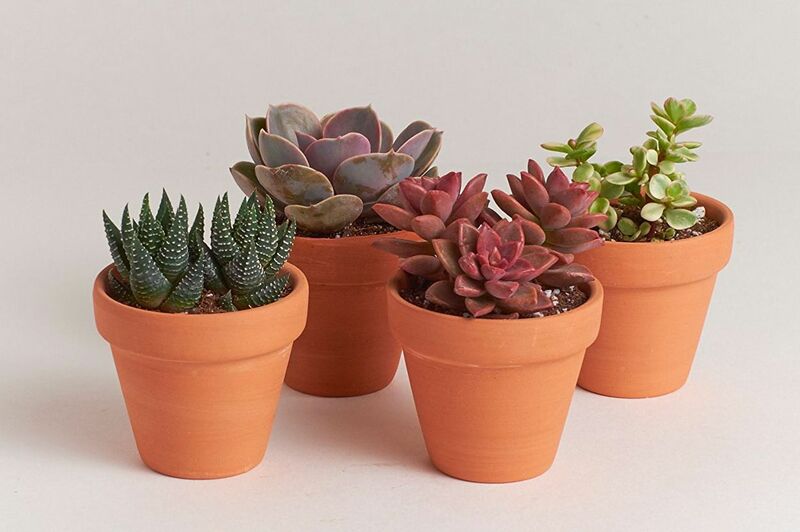 This set of four cacti comes shipped in terra-cotta pots and would look great on a sunny windowsill. 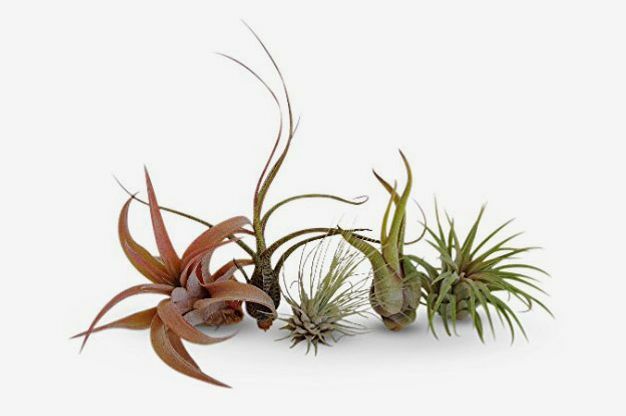 Or if you’re a fan of that no-pot free-form look, this set of eight air plants should hold up well during shipping. 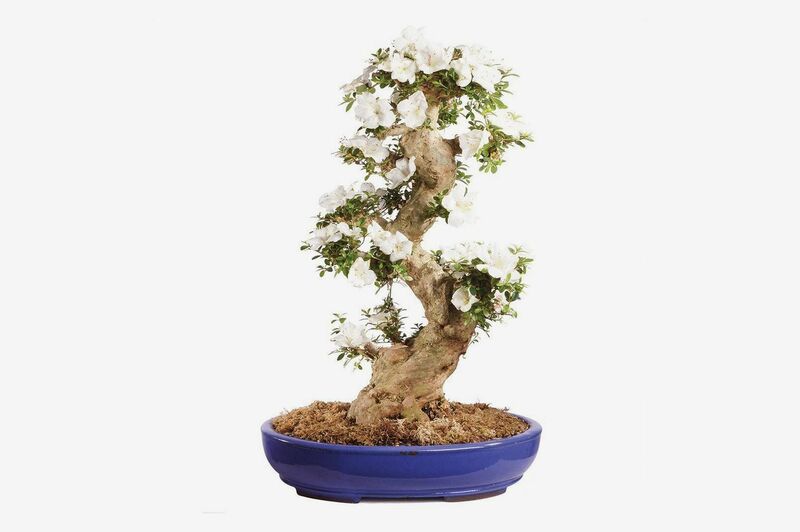 You can get this $2,011 flowering bonsai tree that, at 60 years old, has been on this planet longer than Jeff Bezos (Bezos is 54, but they both look great). 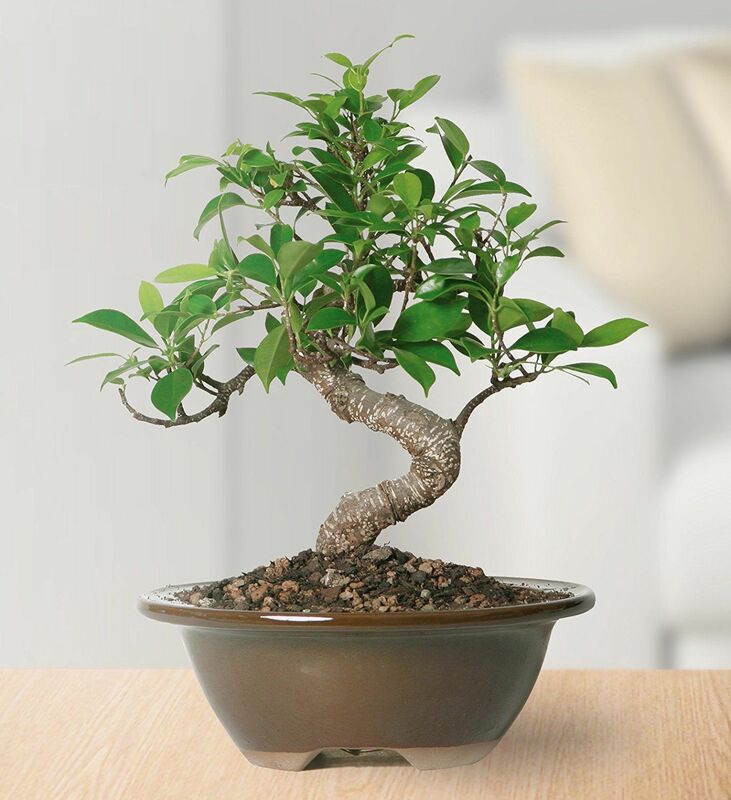 Or if you’re on a bonsai budget, this smaller version from the same grower is a little more reasonable. 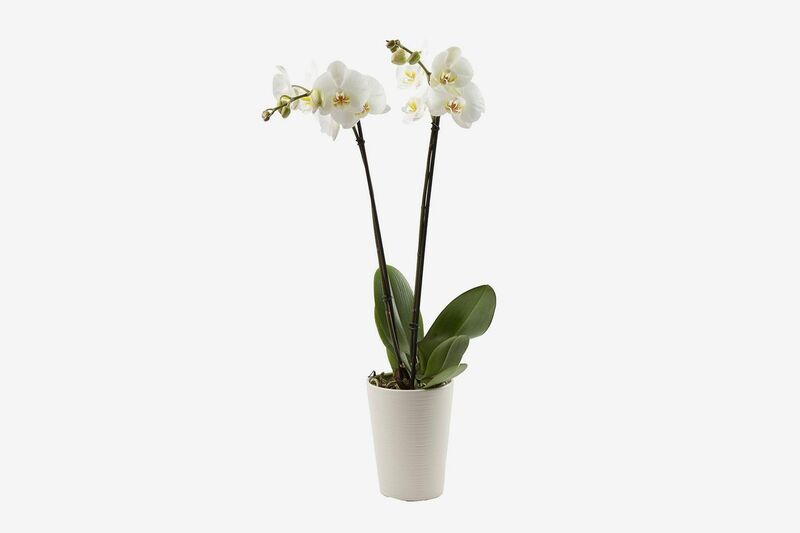 This white orchid comes in a decorative ceramic pot with a built-in wicking system to help the plant maintain optimal moisture levels (orchids can be notoriously finicky). It comes with a shot glass measured with the water you need to add once per week. 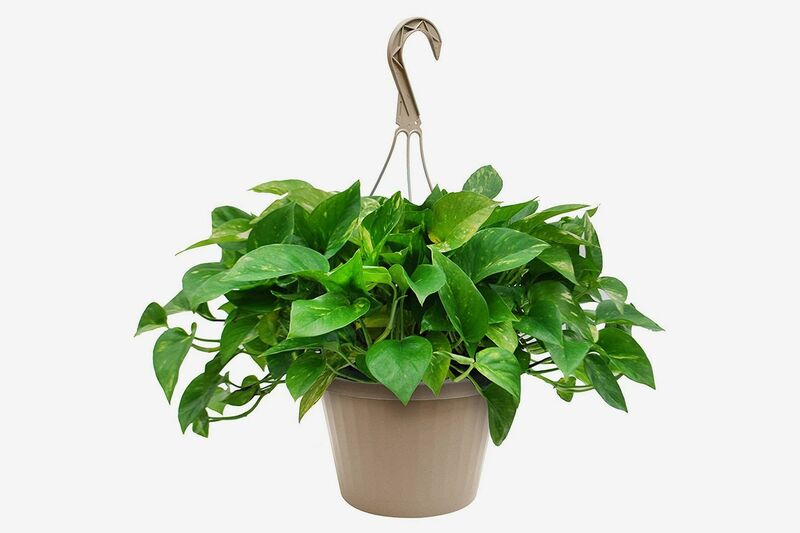 Pothos is one of the easiest plants to care for and a great natural air purifier. 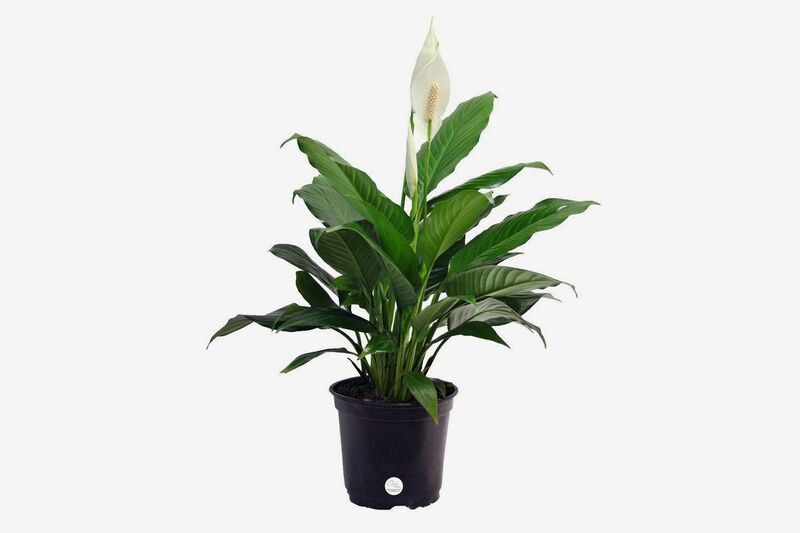 Peace lilies are quite possibly the best air purifier of all houseplants (a NASA study found that it removed benzene and formaldehyde from the air). They’re easy to care for, too. 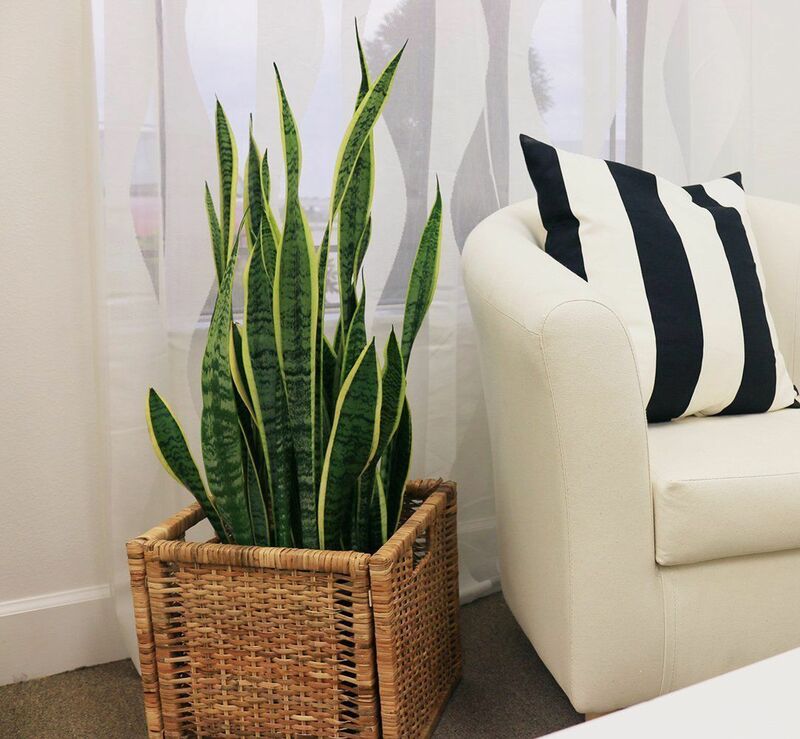 The snake plant is pretty much impossible to mess up. 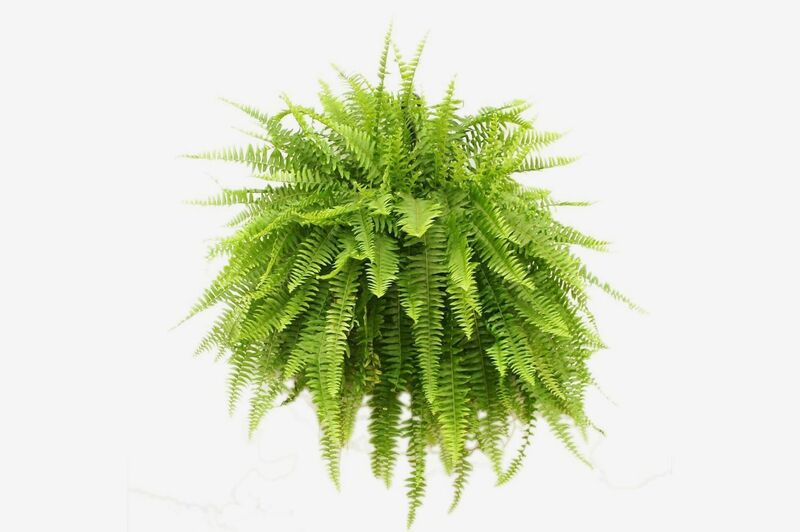 I have one (not purchased from here) that is about four-feet tall and thriving — it looks just fantastic, too. I water it when I think to, and the plant couldn’t care less. 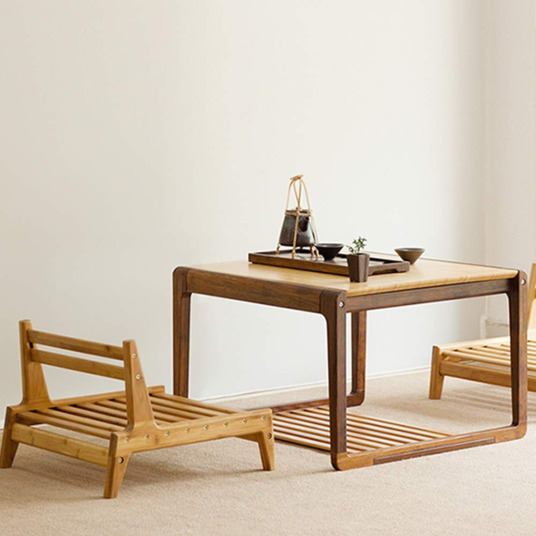 This one’s a top seller on Amazon, and its reviews make it look very popular. 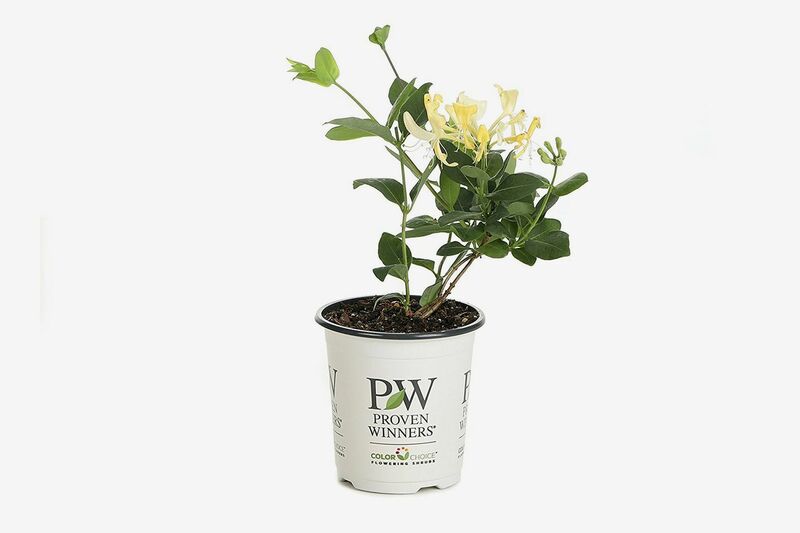 This fragrant honeysuckle shrub’s flowers will attract birds if you keep it outside. 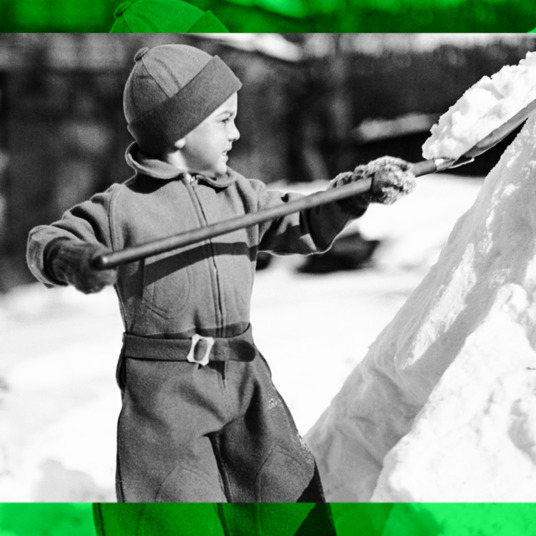 Which you probably should: it will grow to 10 to 15 feet tall. 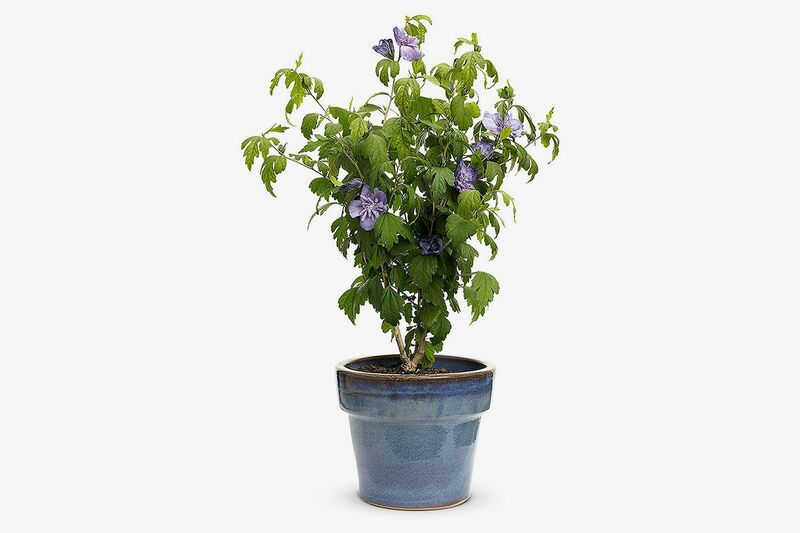 This blue hibiscus shrub is very popular, too, with lots of positive reviews about how well it was packed and the number of blooms. 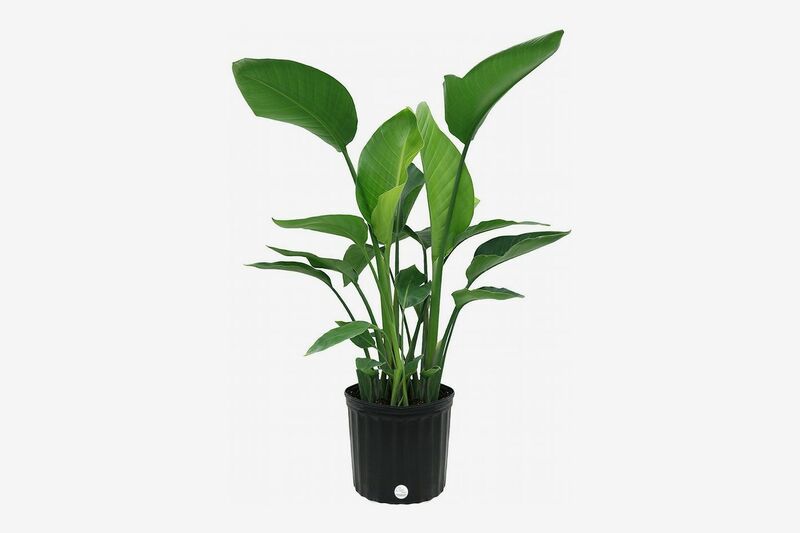 A good choice if you’re looking for an easy outdoor plant to add color to your garden. Note that it doesn’t arrive in that blue pot above, but in a standard grower’s pot.